Pearl Abyss and NCSoft had their turn of revelations and now it’s Nexon’s turn to show us how their games performed in Q1 of 2018 and what they have in line for the months ahead. The Tokyo-based developer and publisher raised a record-breaking ¥90.5 billion in revenue for the quarter that was “primarily driven by strong performance of Dungeon & Fighter in China around the Lunar New Year season”. PC revenue (84%) outperformed mobile revenue (16%) by a mile. 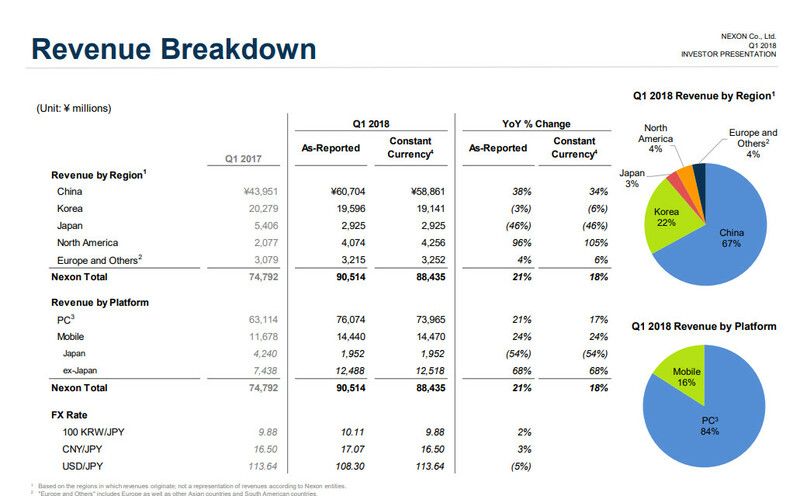 China is responsible for a whopping (67%) of their total revenue for this quarter and Korea behind it with (22%). North America and Europe/others are far behind with a whopping (4%) per recognized region. 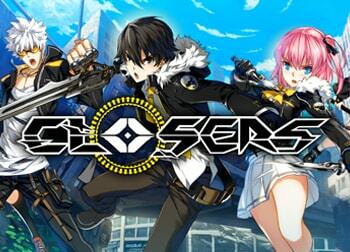 Nexon’s pipeline shows only one PC game for North America and luckily it’s an MMORPG. 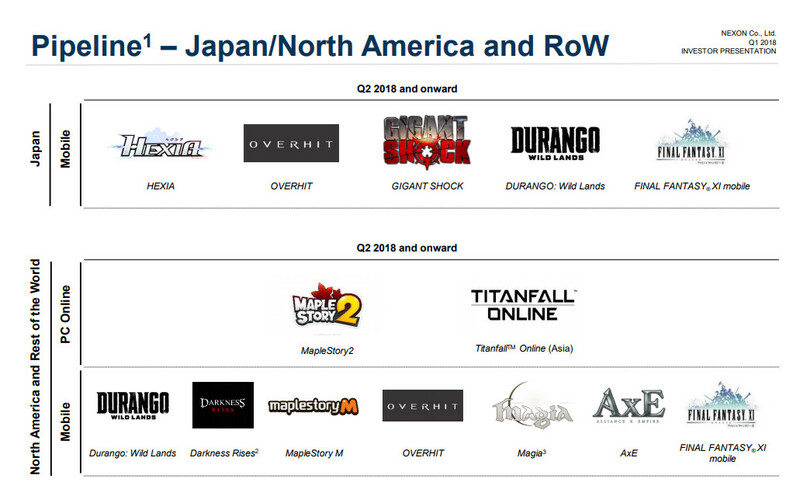 MapleStory 2 will release in “Q2 2018 and onward”. The mobile category for “North America and Rest of the World” is much more fruitful with seven total RPGs. Three of those RPGs are mobile MMORPGs which are MapleStory M, AxE (Alliance x Empire) and Final Fantasy XI Mobile. 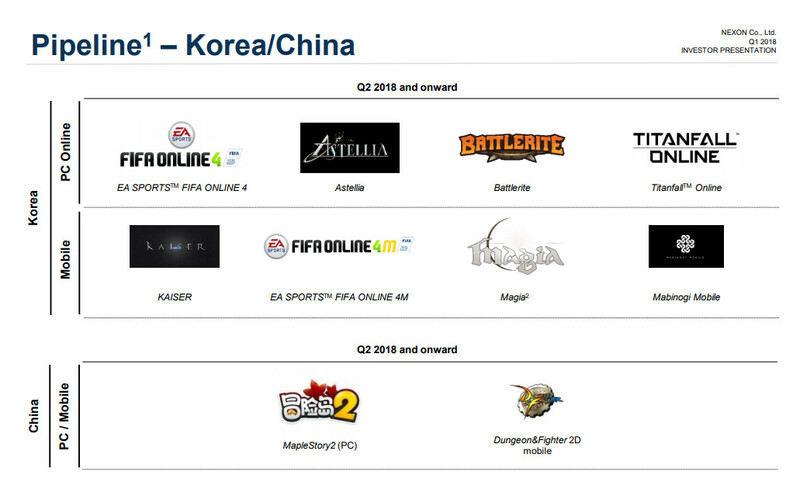 China will have two MMORPG releases which are MapleStory 2 on PC and Dungeon & Fighter 2D on mobile devices. Korea will release four PC titles with Astellia Online as the sole MMORPG. The mobile category has two MMORPG titles out of four total games to be released which includes KAISER and Mabinogi Mobile. The much anticipated sand-box MMORPG Peria Chronicles is still a no-show in Nexon’s pipeline for any region and was not even mentioned in any plans on the Investor report. 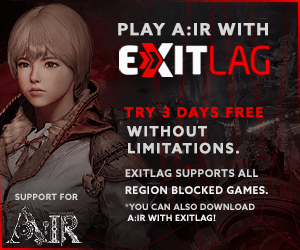 I’m always teetering on the edge of going back to FFXI. I’d love to see it on mobile, especially after the recently discovered screenshots show how pretty it’ll likely be. Also, I’d like to see Astellia in the West soon.